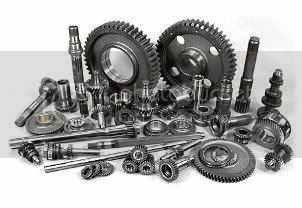 LCC Network specializes in sourcing Metal, Rubber, Plastic, FiberGlass, Electronics, Castings, CNC Machined Parts, Weldments and other commodities, from China, Taiwan, India and Mexico. We serve customers in the Transportation (Bus and Truck), Automotive, Construction, Agriculture, Mining and Energy industries. Our manufacturing partners are located in China, Taiwan, India and Mexico. By sourcing products from these regions, we provide our customers with substantial cost reductions in components and parts. These savings make you and your customers more competitive in the Global Marketplace. LCCNetwork has established strong partnerships with over 50 qualified suppliers around the world. Factory direct sourcing in both domestic and international markets. Our main suppliers are located in China, Taiwan, India and Mexico. Engineering expertise in these regions that exponentially extends the productivity of in-house capabilities. Unparalleled efficiencies in supply Chain and Inventory Management. We bring you a world of innovative solutions at very reduced cost to you and your customers. We can help you reduce your cost of goods significantly from Design to Manufacturing and Delivery of goods to your customers. LCC Network several Foundries, Machine Centers and Metal Fabricators in China, Mexico, India and Taiwan. We have established complete systems of communication, product development, quality control, and the logistics for shipping goods from these countries into the United States and other countries. Most of our Suppliers and factories are ISO 9001 certified and many are TS 16949 Certified. Prevent your customers from taking your parts or components to foreign sources. With our support, you can do it yourself, generating savings for you and your customers. We can help you source any component from Low Cost Countries while you still keep producing in the U.S but you can lower the average price of your products. Your "blended" pricing translates to lower cost to your customers. Copyright © 2019 LCCnetwork Corp. LCC Sourcing, China, Thailand, South Korea, Vietnam, India, Mexico, etc.